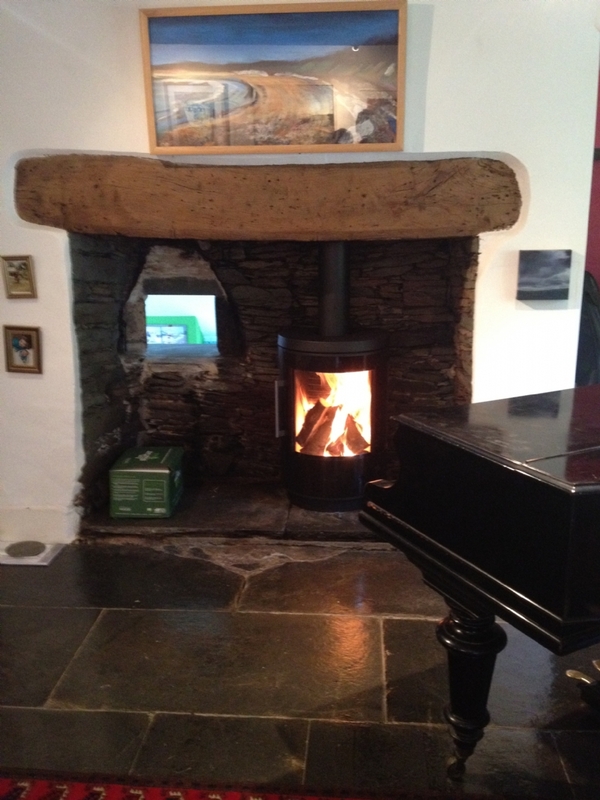 Hwam 3610 Installation wood burning stove installation from Kernow Fires. 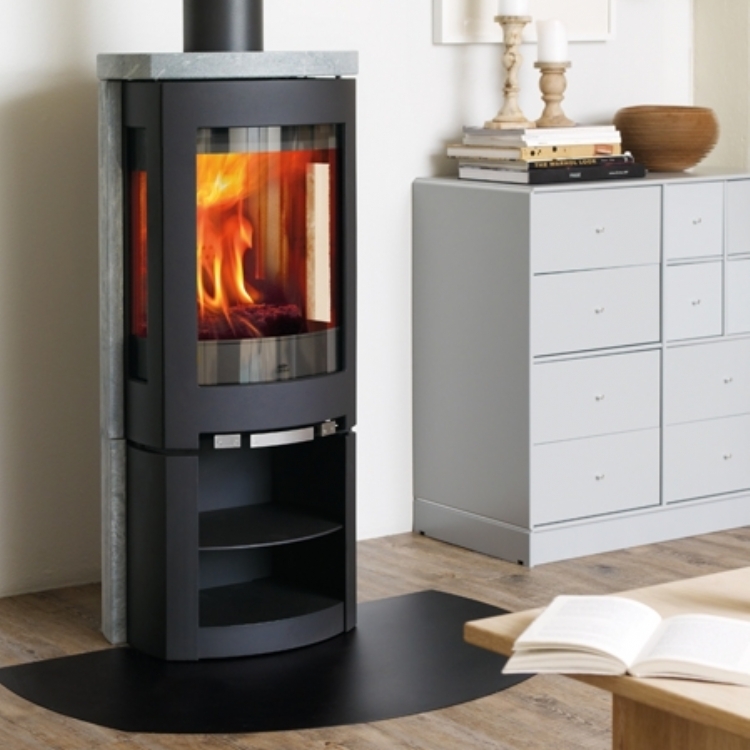 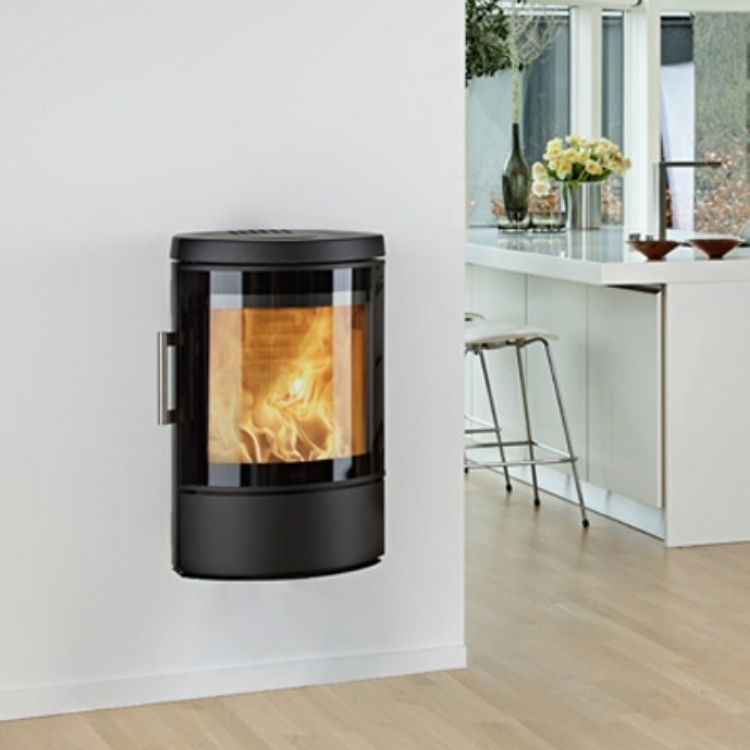 Combining the ultra-traditional with the ultra-Modern is not the easiest thing to do and doesn’t always work however the curves of the Hwam 3610 woodburning stove with its wonderful big door work perfectly with the curves of the old cob walls and fireplace. 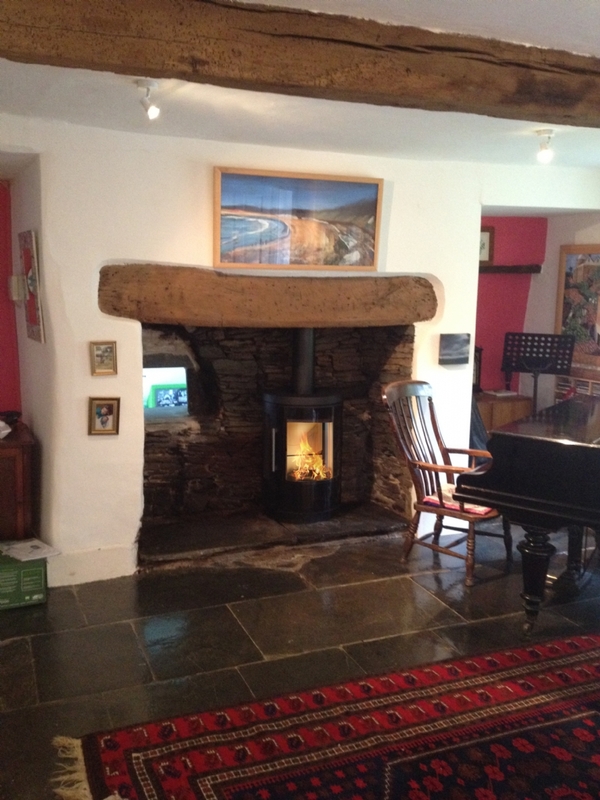 It fits perfectly in the inglenook leaving lots of room for a pile of logs and the spy hole into the lounge!